Admit it. You’ve thought to yourself, how hard can it possibly be to run your companies social media accounts? Why would I hire someone to do something so simple? Isn’t it a waste of money? Who’s better to manage them than me? Just like anything you are investing money into, you have to do your research to find the right marketing firm that you can trust. You have to ask the right questions and you want to make sure you hire a firm that understands your company, audience, vision and goals. 62% of companies hire advertising agencies or freelancers (Lean Labs). Hiring a marketing firm eliminates costs such as pay roll taxes, healthcare benefits, employee training and marketing management software. According to Alexis Grant dot com, on average, most consultants surveyed charged anywhere from $1,000 to $3,000 a month. Hiring your own social media team can cost from $50,000 to $120,000 annually per person (Inc, 2016). 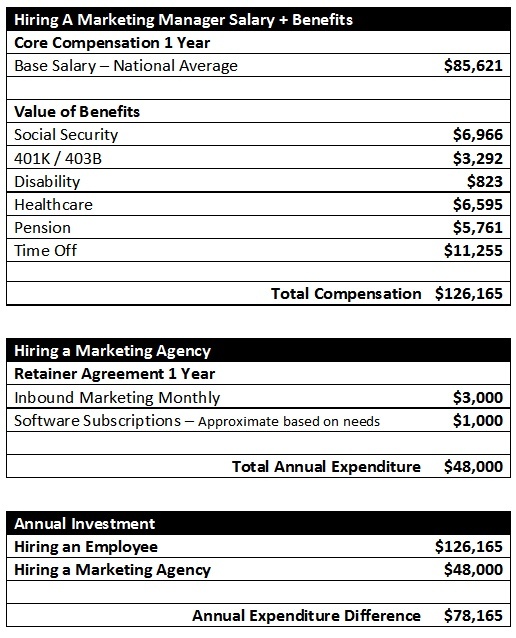 The image below is a perfect example of a cost breakdown between the two (Inbound Marketing, 2014). Take advantage of this Free Social Media Audit today! Let's get real. Being a business owner doesn't leave much free time to be on social media for hours in order to reach your social media goal. Many other obligations that need equal or greater attention. HubSpot revealed 43% of companies spend 6 or more hours a week on social media and 66% of small businesses are spending more time on social media. From my own experience it takes me an hour each day to reply, like, comment, research new pages to add/follow, etc. To succeed, your social media page requires researching your target audience, interacting and strategizing your posts. I know what you’re thinking. "Why don’t I just hire a single contractor such as a freelancer?" Yes, at times a freelancer might be less costly. However, a marketing agency holds more value. As a client of a marketing agency, you will get the expertise of multiple marketing content experts with deep industry knowledge and high technical skills instead of just one freelancer. Forbes also pointed out that marketing firms are better equipped. They have proper software, advanced technology, tools and strategies to assist their team and clients. 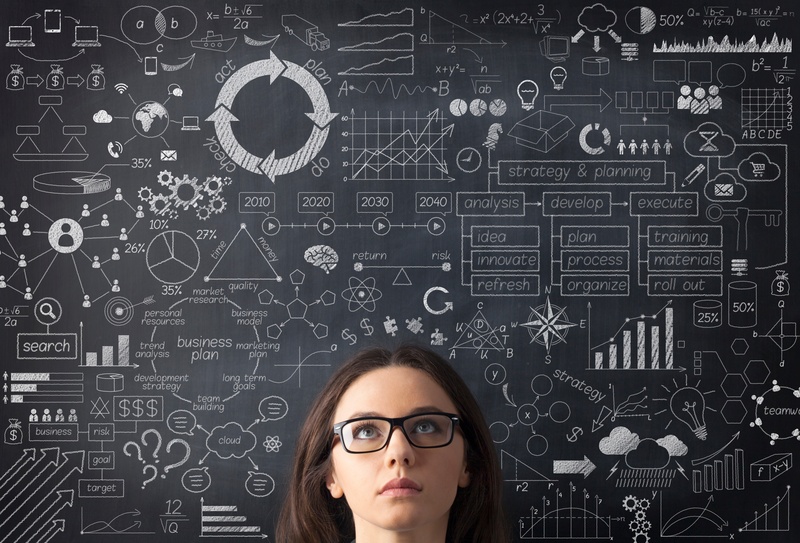 By now you should have a better understanding that creating a companies social media strategy requires a significant amount of more detail than you thought. These reasons point to the value of hiring a marketing firm to manage your social media and leaves you with something to absolutely consider, because at the end of the day, would you rather sink, or swim? Take advantage of this free Social Media Audit today! Learn more here.